Researchers at the University of California, Santa Barbara say they have developed a mathematical approach to analyze and model interactions between gut bacteria in fruit flies. 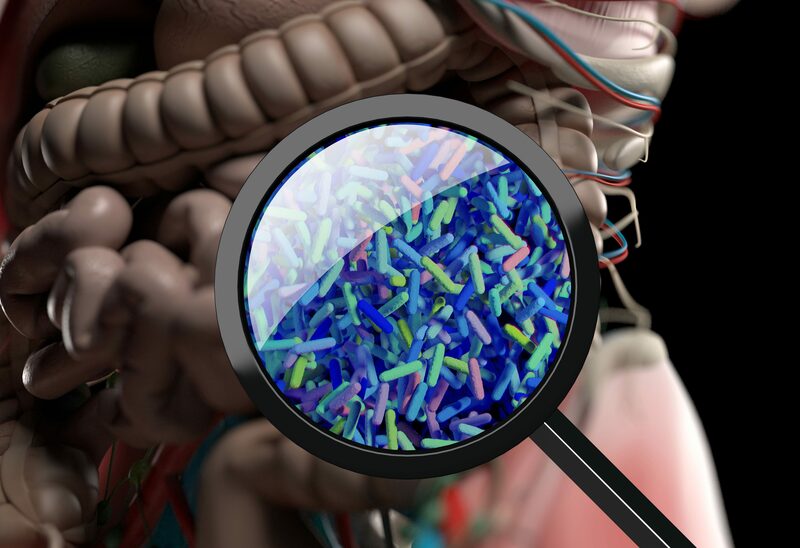 This method could lead to a more sophisticated understanding of the complex interactions between human gut microbes, according to the scientists whose study (“Microbiome interactions shape host fitness”) appears in PNAS. “Gut bacteria can affect key aspects of host fitness, such as development, fecundity, and lifespan, while the host, in turn, shapes the gut microbiome. However, it is unclear to what extent individual species versus community interactions within the microbiome are linked to host fitness. Here, we combinatorially dissect the natural microbiome of Drosophila melanogaster and reveal that interactions between bacteria shape host fitness through life history tradeoffs. Empirically, we made germ-free flies colonized with each possible combination of the five core species of fly gut bacteria. We measured the resulting bacterial community abundances and fly fitness traits, including development, reproduction, and lifespan,” wrote the investigators. The team examined the interactions between five core species of bacteria found in the fly gut and calculated how the presence or absence of individual species influenced aspects of the fly’s fitness, including lifespan, fertility, and development. Building on previous research that found the presence versus the absence of bacteria affected the longevity of an organism (sterile hosts lived longer), the researchers’ work on this project revealed that the situation is far more nuanced. For example, the presence of certain bacteria might increase the host’s fecundity, while others might decrease longevity. To decipher these interactions, he performed a combinatorial assay, rearing 32 batches of flies each inhabited by a unique combination of the five bacteria. For each bacterial combination, Dr. Ludington measured the fly’s development, fecundity, and longevity. The analysis of the interactions required Dr. Carlson and Jones to develop new mathematical approaches. 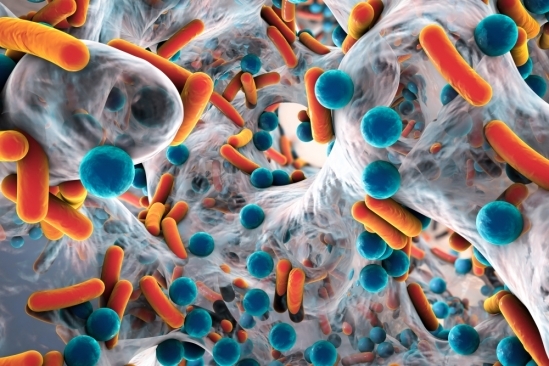 The newly developed models could be extended to better understand the interactions of the thousands of different species of bacteria in the human microbiome, which could, in turn, shed light on the many connections to microbiome-affiliated diseases including mood disorders, neurological dysfunctions, autoimmune diseases, and antibiotic-resistant superbugs. “In many cases infections are caused by bacteria that we all have in ourselves all the time, and are kept in check by native gut bacteria,” Dr. Carlson said. It’s not so much that the infection is some new, horrible bacteria, she explained, but that the populations of other bacteria have changed, resulting in unrestricted growth for the infectious bacteria.